Victory made one heck of a motorcycle and the aftermarket largely ignored it. Maybe because it was so good stock? Revolution Performance knows how good the 106” Victory is and with just a little more displacement, how great it could be! 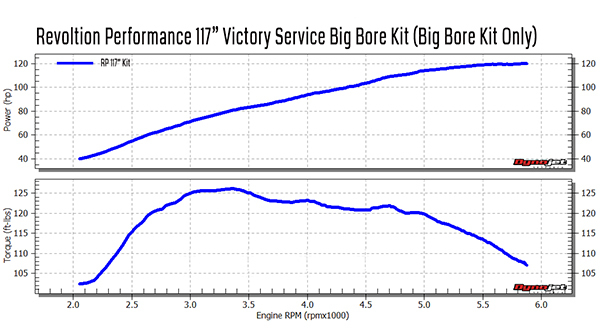 The new Revolution Performance 117” Victory Big Bore Service Kit increases the standard bore from 101mm to 106mm yielding a new displacement of 117”. 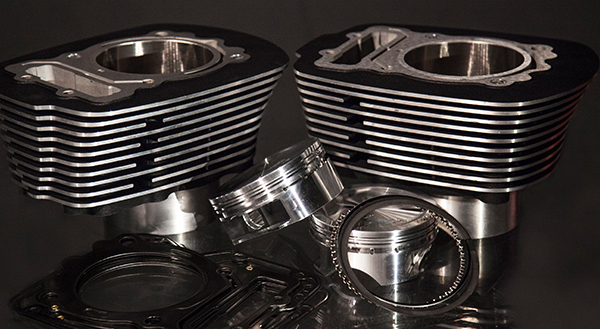 When combined with our CNC head port, exhaust and tuning we have seen gains of more than 30hp and 17ft-lbs of torque. The 117" Big Bore Service Kit requires no other engine modifications to install but can benefit from our other products and services. For questions on our big bore kits, please contact our sales technicians directly at: 1-866-892-2109 M-F 8:30 A.M. - 5:00 P.M. CST.